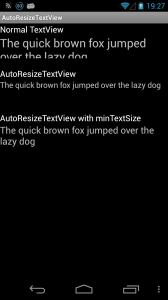 If you need your TextView to automatically shrink the text to fit (rather than truncating), Andreas Krings has a great solution. However, this solution is written in Java rather than C#. 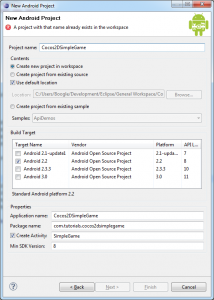 So here I present a version ported to Mono for Android using C#. Don’t forget to view the full project at GitHub! /// Resize the text so that it fits. If you want to pass values between activities in Android, you’ll probably want to implement Parcelable sooner or later. 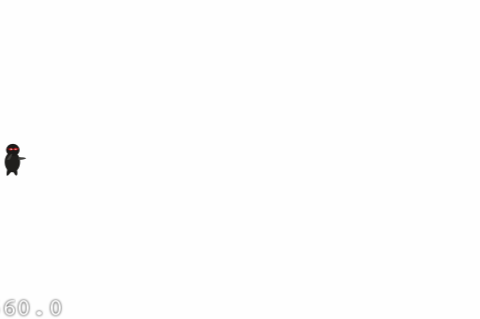 This isn’t particularly slick even when writing natively, but add Mono in and it becomes even murkier. Fortunately .NET’s Generics support helps us out a little. The reason for the rather heavy implementation is intents can cross process boundaries, meaning you can’t just provide a memory address. This gives you the ability to call apps / resources you haven’t programmed yourself, but unfortunately it means inter-activity communication is ‘heavy’ for want of a better term. If you’re thinking of using IParcelable in a brand new app that isn’t going to be receiving 3rd party parcels, consider the ‘alternatives’ at the end of this guide first. IParcelable is somewhat of a convenience API for serialising objects to binary and then de-serialising. You might be better off doing this yourself rather than using the ‘Android’ method. So why do we have to inherit from Java.Lang.Object? The Android runtime needs to be able to call the methods that we define as part of IParcelable, to do this our class must have a dual-personality. One half of the class is .NET, the other half is Java, it is this Java side that Android can see. 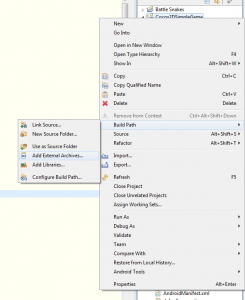 When a method is called on the Java side, it will execute the .NET code. Clever huh? Unfortunately this means we now have two objects instead of one in memory, it also means that Mono must keep track of both objects. To do this it uses a global ID or reference, this reference links the two instances together. Unfortunately GREFs, are a very, very limited resource. The emulator only supports ~2,000 and devices usually only support ~50,000 GREFs. 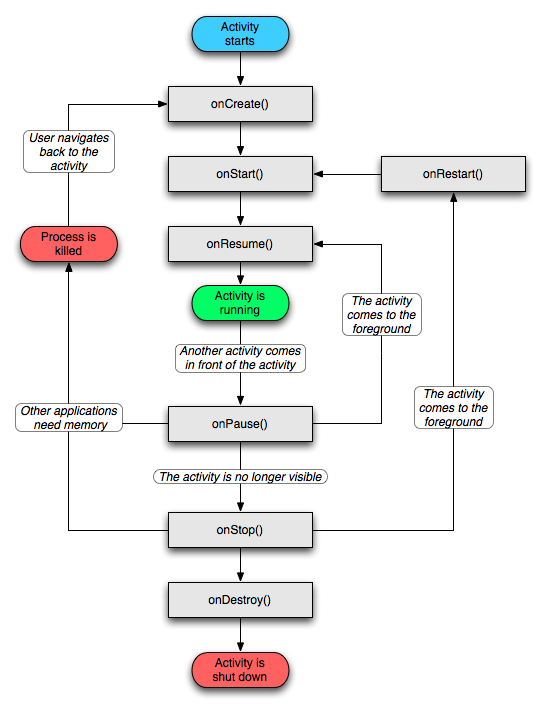 For more information on GREFs, check the Architecture and Garbage Collection documents over at Xamarin. Note the order we read in the values, this is very important and must mirror the order in WriteToParcel below. DescribeContents is used for flagging ‘special objects’ within the parcel. I’ve never had cause to use this field, and 0 means ‘no special objects’. WriteToParcel is where we write the instance data to the parcel, pay special attention to the order you write the values. This same order must be mirrored when reading in the parcel above. The flags attribute gives additional information on how the data should be written, it’s unlikely you’ll need to check these flags. All Parcelable objects must have a public static field called CREATOR. The instance behind this field is responsible for creating instances of the object and populating them from the parcel. This can be done in two ways, an internal class that is implementation-specific, or a generic class that can be re-used repeatedly. The first method is the method commonly used in Java applications. However, with .NET we gain a much more robust Generics implementation so we’ll go down that route. However if you’re interested in the Java-favoured implementation it’s available in the sample project as a comment. First we declare a private static instance, it’s required to be static by the Android API. Because this instance is static, it’s critical that your creator is thread safe otherwise bad things will happen. After the actual instance declaration we create a public static method, and decorate it with the ExportField attribute. Unfortunately this attribute can only be used on methods, so we can’t decorate our field directly. ExportField will ensure the Java version of our class gains a public static field named CREATOR. /// Initializes a new instance of the <see cref="ParcelableDemo.GenericParcelableCreator`1"/> class. The creator must also be usable directly by Android, so again we have to inherit from Java.Lang.Object. We add two restrictions to the generic type parameter, first it must inherit from Java.Lang.Object (as all Parcelables must), and second it must have an empty constructor. This allows us to create an array of instances of the type, as required by IParcelableCreator. Next in the constructor we require a delegate that can create and populate an instance of T. If you check back at our instantiation of the creator, we use a lambda expression that instantiates the instance using the private constructor we created that accepts a Parcel. Finally we implement the two methods required by IParcelableCreator, these simply create and populate the type, or create an array of the type. Also remember that the creator must be thread-safe, if it isn’t bad things happen. To ensure thread safety we’ve made the state immutable, immutable types are by definition thread safe. If you need to create your own creator, be careful to follow thread safety guidelines. Microsoft have a good book on patterns and thread safety you can download for free. You can download the sample project from GitHub here. The problem with Parcelables is that you’re using up your very limited GREF resource. Additionally running two instances of an object across two garbage collectors isn’t the best use of memory or CPU resources. You’ll actually double up on instances as well, the instances that get packaged up in a parcel, and the instances that get extracted. The first set (senders) you can often clear from memory quickly, however the second set (received values) could be memory resident for quite some time as they’re used by the activity. The alternative is to either send just enough information for the activity to generate its own data, or you can send the data in an alternative format. You can send byte arrays, so you can use ISerializable and serialise your objects to binary. The other option is to use JSON (or other text-based format) and pass JSON strings between activities instead. Unfortunately there is no ‘best’ solution, only the solution that meets your specific needs best. 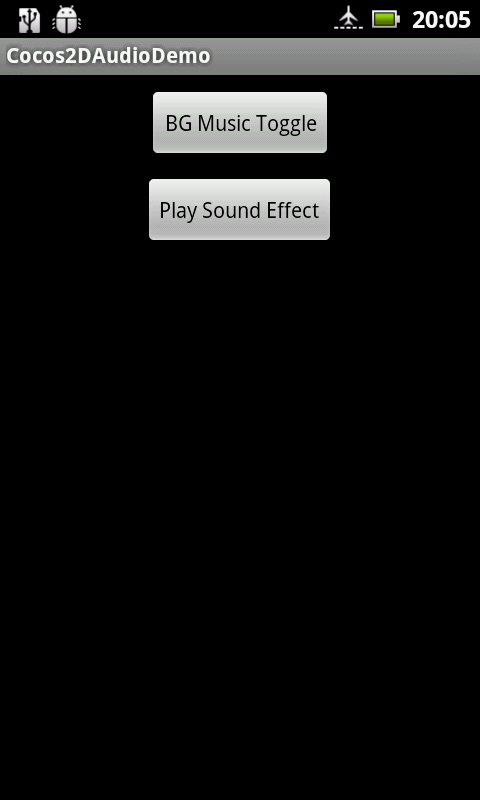 Cocos2D for Android provides a very rudimentary sound system for playing background music, and simple sound effects. For the vast majority of games, this is plenty. However, if you have more advanced requirements you may need to look into either rolling out your own sound engine or sourcing something more complete elsewhere. The Cocos2D ‘SoundEngine’ class provides all of the functionality you’ll need. It groups audio into two main groups: ‘Sound’ and ‘Effect’. Effects are the explosions, jump sounds, and other general effects you have within games. Sound is the background music and is the only audio type that can be paused and resumed. Sound effects should be kept under 5 seconds long, and ideally they should be under 3 seconds. Android supports a wide range of different audio formats, you can view a complete list here. However, I’ve found that the SoundEngine doesn’t necessarily support all of these formats – so please do test your audio on a real device, preferably a few. 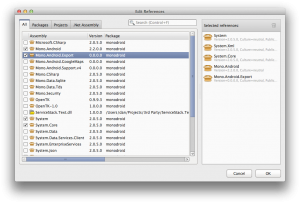 Create a new Android project in your IDE of choice, IntelliJ Idea is my favourite, but Eclipse is very good also. 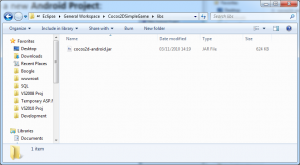 You also need to download the latest source code for cocos2d-android-1, the downloadable jar doesn’t include the SoundEngine code. Include the source into your project – this also has the added advantage that you can poke around the code to see how everything works. Also you need to add the two audio files in this zip, and put them in the ‘raw’ folder within the ‘resources’ folder. If you don’t have a raw folder, create it. This code sets the context we’ll use for playing audio, and preloads the background audio, and the sound effect. We set the context to the current activity; this is because we’re not actually using Cocos2D in this demo. 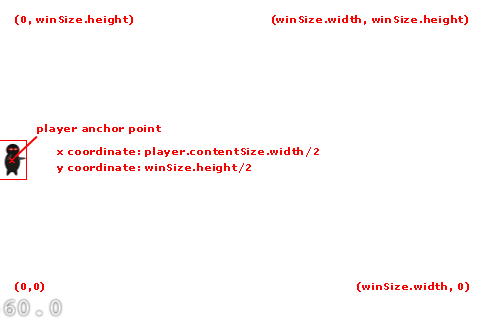 In your actual games you would use CCDirector.sharedDirector().getActivity() instead of this. We need to cater for the activity being obscured by another activity, being hidden, and being closed down. The onResume, onPause, and onDestroy methods should be plenty for our needs. In onResume we’ll need to resume playback of the background sound if it was playing. onPause will pause the sound (if any) ready for resuming. When onDestroy is called we’ll close everything down and free up any applicable resources. // If we haven't started playing the sound - play it! Now we only play the sound once, rather than starting fresh each time. We pause / resume the sound depending on whether it’s currently playing or not – your typical toggle pattern. In this method we check if the sound is playing, and if it is – whether it’s paused or not. If the sound is playing but it’s not paused, we pause it and request that it’s resumed at the earliest opportunity. If the sound isn’t playing or it’s paused, then we request that the sound isn’t resumed when the activity is. We check if the sound is playing, it’s paused, and a request is pending to resume the sound. If all of this is true (phew, that’s a lot of checking!) we resume the sound. At this point we can run the app, and the audio will be handled properly. The user won’t be irritated by music playing when it shouldn’t, and our game can resume seamlessly when the user comes back. However, we haven’t yet implemented the onDestroy method – we never clean everything up. First we release all of the preloaded sounds and effects. You can selectively release individual sounds and effects if you need to. If your game is made up of multiple scenes with different audio in each, it’s a very good idea to release the audio you’re not using to save on memory. Finally we shut down the sound engine itself. This isn’t really necessary, but it’s here for you to see how it can be done. If you have completely different areas in your game, you could feasibly want to have no trace of the SoundEngine between those scenes since the SoundEngine is a singleton by design. And that’s it; you now know everything you need to add basic audio to your Android Cocos2D games. You can download the sample project here. If you want more Cocos2D, don’t forget to check out the basic tutorial series starting here. Getting the above error? Get ready to kick yourself. Honeycomb for the Advent Vega is now at a stage where it’s mostly usable day to day, you an pick it up at Tabletroms. Very impressive work by newbe5 and Corvus to not only get Honeycomb working so quickly, but to get it working so well so quickly after the initial releases! This is the second tutorial in the Simple Android Cocos2D Game Tutorial series, originally written by Ray Wenderlich for the iPhone. This one builds on the first tutorial by replacing the ninja with a rotating turret, and the projectiles with cannon balls. Ideally you’ll have followed the first tutorial, in which case you can continue from where you left of. Failing that you can download the code from the previous tutorial and use that as your base – however, I highly recommend starting from the beginning. You’ve probably noticed it doesn’t look quite right, the turret doesn’t rotate with the projectile direction. Let’s fix that now. You may have noticed we’re using doubles rather than floats. According to Google doubles are just as fast as floats with the only trade-off being increased memory consumption. Since there is no float version of Math.atan or Math.toDegrees, it’s better to stick with doubles so we don’t waste CPU cycles converting between double and float repeatedly. Now compile and run, and you should have a rotating turret! We’ve got a great game here, but it could be better. The turret rotates instantly, which is unlikely given we’re firing cannon balls. It would be much better for immersion and realism if we smoothly rotate the turret to its new direction. This will take a little refactoring. This code will rotate the turret with a rotation speed of half a second (0.5) for half a circle’s worth of rotation (since full circle in radians is 2 PI, a half circle is 1 PI). This method adds the projectile to the game. Since it’s called once the turret has finished rotating we can guarantee that projectiles will only fire once the turret is in position. That’s it, we’re all finished! Have a play, and enjoy your handiwork. You can download the full source code here. In the future I should be porting Ray’s final part of the series, but in the meantime you could have a look at his tutorial and see if you can port it yourself! Update: The community took up the challenge and ported Honeycomb WITH hardware acceleration. It looks increasingly unlikely that Honeycomb will appear on the NVIDIA Harmony platform, which includes the Advent Vega. However, that doesn’t mean the community couldn’t make a custom rom, but it’ll take a lot of work. Google aren’t releasing the Honeycomb source (instead we’ll have to wait for Ice Cream), additionally the community will need to integrate the drivers manually from NVIDIA. While I’m sure we’ll see Honeycomb on the platform, I doubt it’ll ever be a nice slick implementation that you would get from an OEM-based rom. To be frank, if you want Honeycomb, best start saving the pennies for one of the latest generation of Android tablets. The Asus Transformer looks especially tasty. Personally I’m waiting for the quad core Tegra and Ice Cream, Froyo is enough for me for the moment. At some point you’re going to hard lock your tablet, at least if you’re like me. Only problem is there’s no physical power switch and you can’t take the battery out. Have no fear! Press and hold the Power and Back buttons simultaneously, after a while the tablet will turn off. Press the power button again to turn it back on, and now you’ve got your tablet back to working order! 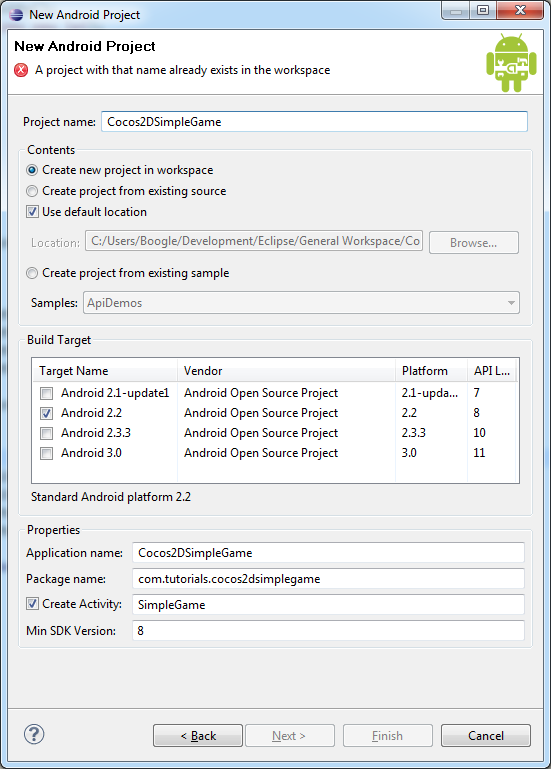 Cocos2D is a fantastic library / game engine for numerous platforms from PCs to smart phones. It supports the vast majority of the features necessary to make almost any 2D-based game, it even includes a fully-featured physics engine! As part of learning Cocos2D for Android I followed Ray Wenderlich’s tutorials for the iPhone port of Cocos2D. Of course we’re dealing with Android here, so here is his tutorial recreated for Android. Ray deserves all credit for this tutorial – the tutorial is originally his, this is merely a port to Android. Credit should also go to Sketchydroide for his basic template for Cocos2D on Android. I’m going to assume you’ve already got the Android SDK installed, along with Eclipse. If not, you can follow the guides at Google. You’ll also need to test with a real device, the emulator is far too slow to test Cocos2D applications, even one as simple as this tutorial. I’m also going to assume you know Java, otherwise you’re going to get lost very quickly. There are plenty of Java tutorials out there, don’t worry we’ll wait here while you learn. 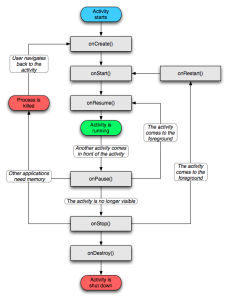 The basics of Android (such as what Activities are, etc.) are helpful to know, but not critical. First you need to download cocos2d-android-1. I’m going to assume you’re using the pre-compiled library (the .jar), although you’re welcome to include the full source code if you wish. In fact when you’re developing on your own, the source code is a better option since you gain full documentation along with the ability to tweak the code should you need to. 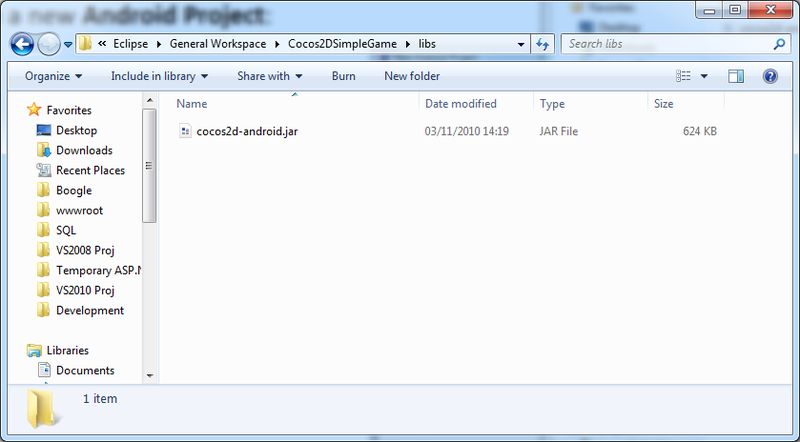 Now you need to copy the cocos2d-android.jar file into the ‘libs’ folder of your project. If the folder doesn’t exist, create it. 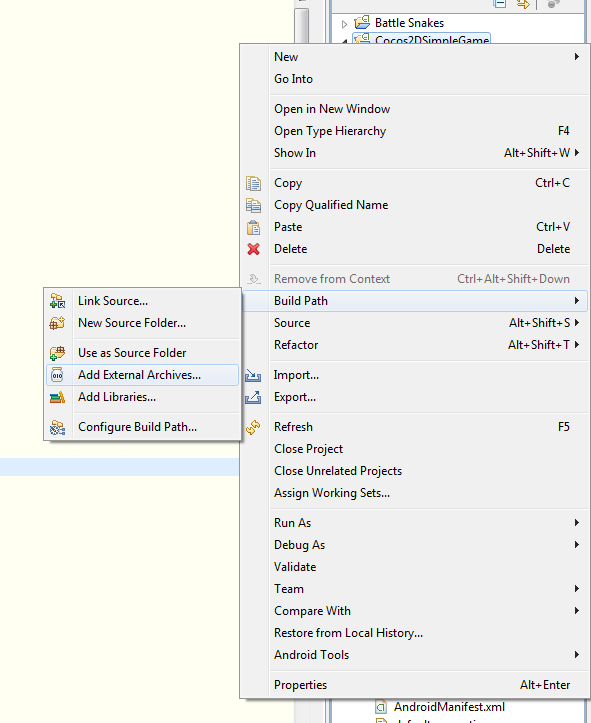 Go back to Eclipse, right-click on your project and select ‘Build Path/Add External Archives’. Browse to where you saved the .jar file and select ‘open’. Next download fps_images.png and put into the assets folder of your project. You are now setup with Cocos2D! 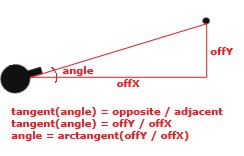 This sets up the OpenGL surface for Cocos2D to utilise. We set some flags to ensure we always have a fullscreen view, then display the view to the user. This is the initial setup for Cocos2D. First we tell Cocos2D which surface to render to (the OpenGL surface we set up earlier). We then ask Cocos2D to display the FPS and to run at 60fps. Note that the 60fps is our animation interval, not the framerate of the application itself which is often limited by the device. These notify Cocos2D with what’s going on with the device – such as when the user has switched to another application or the game is being stopped by the OS. This is all the setup we really need. You can run the game now, but it won’t display anything at this early stage (we haven’t even set up a hello world scene!). Sprites are small images in 2D games that move about. These can be characters, projectiles or even clouds. 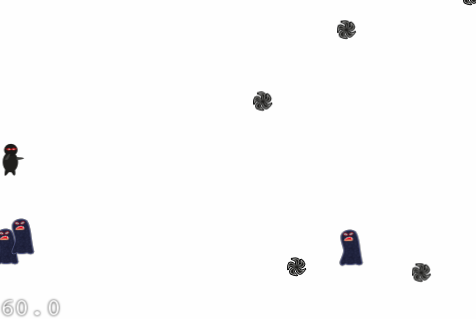 In this game we’ll have three separate types of sprite: Player, target (enemy), and projectile. First we need a graphic to use! You can either create your own, or use the tasty graphics provided by Ray Wenderlich’s wife: Player, Projectile, Target. Place your sprite graphics within the ‘assets’ folder of your project. 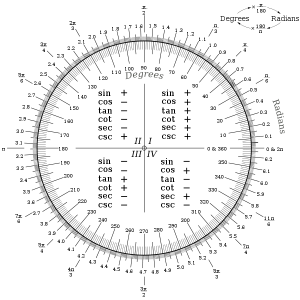 At this point it may be worth a quick look at the earlier diagram to see exactly why we’ve chosen the coordinates we have for the player. Now run the application and admire your handywork! Now when you run the application you should have a nice white background. 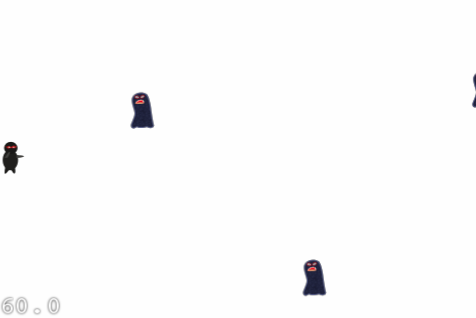 CCMoveTo: The CCMoveTo action moves a sprite from its current position to a new one. In this case we’re moving the sprite from just beyond the right edge of the screen to just beyond the left edge of the screen (remember the origin of a sprite is the centre, hence why we divide the width by two). 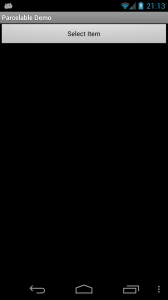 The duration is specified in seconds between 2 and 4. As an exercise, try changing the type from int to float so we aren’t restricted to whole seconds. CCCallFuncN: The CCCallFuncN action allows you to specify a callback. The ‘N’ means this action allows you to specify a parameter. 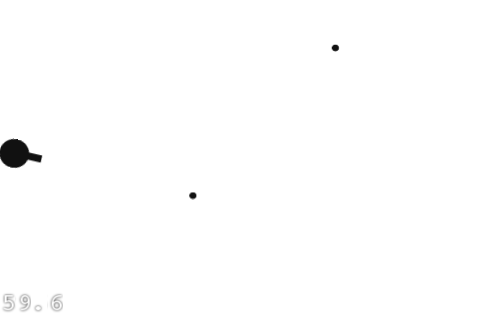 CCSequence: This is a rather special action in that it doesn’t do anything itself. Instead it lets you run a sequence of actions, one after the other in a linear fashion. We use this so that we can move the sprite, then when the movement has finished call our callback. 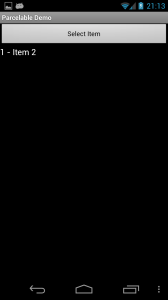 This method will remove the sprite when it has finished animating to the left of the screen. The second parameter is to ‘cleanup’ the sprite, this means it is completely unloaded and we get the memory back. In a real game you would only clean up a sprite as a last resort, re-using a sprite is much better from a performance perspective. We’re going down the wasteful route to make the concept of the game as simple as possible – simple is good when learning! I like to be able to shoot my targets, so let’s add some shooting! We’re going make things simple by having the user tap to shoot, where you tap is where the projectile goes. We’ll use CCMoveTo to animate the projectile just like how we animated the targets. The problem is, CCMoveTo requires a destination to move to, but we can’t use the tap location since that means the projectile would stop in the middle of the screen. What we need to do is use the tap as a direction, rather than a destination. What we are doing here is first enabling touch support. We’re telling Cocos2D that we are ready to handle touches for the current layer. Next we add code to handle touches from the user. First we get the coordinates of the touch itself, and convert to the Cocos2D coordinate system. This method should work regardless of the orientation of the device. 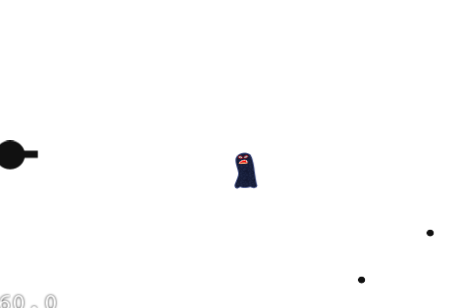 Next we create the sprite and position it over the ninja. 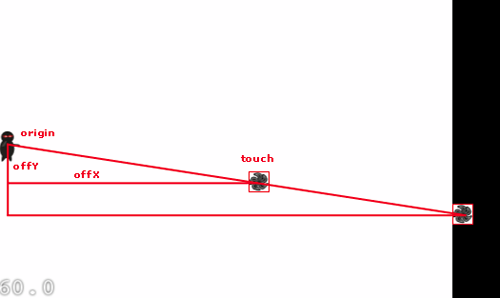 We then work out where the projectile should move to by extending the tap off the screen. This is done by getting the X and Y offset of the tap to the projectile’s starting position. We then get the ratio of Y to X, and simply scale the touch Y coordinate to match the scaled up X coordinate (which is just off the screen). The only problem with a simple algorithm like this is that the projectile must reach the right edge of the screen before it’s cleaned up, the projectile could leave the screen (top or bottom) long before it hits the right edge. There are solutions to this problem, but they’re beyond the scope of this tutorial. After working out the destination, we need to work out the duration of the movement – we can’t have projectiles taking different amounts of time just because of the angle they’re shot at. To solve this problem we use Pythagoras to work out the distance the projectile needs to travel, then divide that by the velocity we want. This is because velocity = distance over time, or by re-arranging: time = distance over velocity. Finally we run the actions on the projectile. Run the application and you should be able to start shooting shurikens! It’s no good if you can shoot shurikens, but they don’t actually do anything! To solve this problem we need to add some collision detection. To keep things simple we’ll use simple bounding box collision detection rather than the other more exotic methods Cocos2D provides. We’re pretty close to a fully working game now (albeit a simple one!). All games have sound effects of some sort, and this one is no exception! First we should talk about the audio formats Android supports, since Cocos2D can’t do anything about the supported audio formats on the platform it’s running on. The current port of Cocos2D on Android doesn’t contain a full sound engine yet, certainly not on par with CocosDenshion offered on the iPhone. For this reason we’ll use basic wav files for this tutorial. We’ll also add some additional code logic so you can win/lose. First you’ll need to get some audio for the background music and a sound effect for the shurikens. You can source your own, or download the wav version of the background music, and pew pew sound effect from Ray Wenderlich’s tutorial. Put the wav files in the res/raw folder of your project. Go ahead and give the game a play! This project provides a good basis for further development. Some possible changes were mentioned as part of the tutorial, others are limited only by your imagination! Check out the test projects that come with the source of Cocos2D, see if you can integrate some of them into the project here. Alternatively, you can follow the next tutorial in the series here. 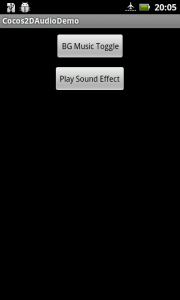 Or maybe follow the tutorial on audio to learn more about background music & sound effects in Cocos2D for Android. This is my first tutorial, and I hope you’ve enjoyed it!